Order your Russian Visa through us! The exhibitions dedicated to the Regional Natural History are hosted at the Leningradsky station in Moscow, and at the main stations in Tver, and Vyshny Volochyok. 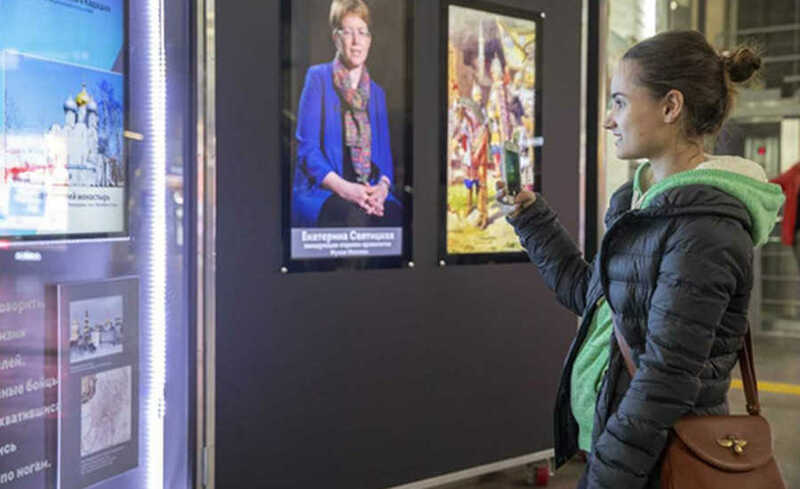 On the interactive stands, passengers can explore the historical information, see the photographs from archives, and also look through the information about the important sights of the city. Each exhibition is displayed in a form of the slightly opened suitcase — the main item of each traveler. "The historical suitcase" gives an opportunity to feel the uniqueness of each place, its importance, and contribution to the Russian history at large. Through the exposition, the visitor can get familiar with the prominent people who have lived in the city, what has been occupying the minds of local residents and what kept them busy during the days, and what kind of architectural landmarks have been preserved at the sights. The expositions have been prepared by the Russian Railways in collaboration with the Historical Society of Russia and with the Institute of the Russian History of the Russian Academy of Sciences. The Russian Railway stations frequently become a venue for the concerts, festivals, exhibitions and other events. During 2018, at the Railway stations from Kaliningrad to Vladivostok, have been hosted over 350 cultural events.